Can be used to generate a Standard or Ensuite call on a Quantec Addressable Call System. Typically wired as a slave to a Quantec Addressable Call Point or Quantec Accessible Toilet Reset Point. 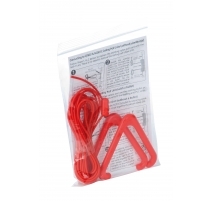 Supplied with 3m of red nylon pull cord and two red open-sided triangular bangles for ease of use by the infirm. 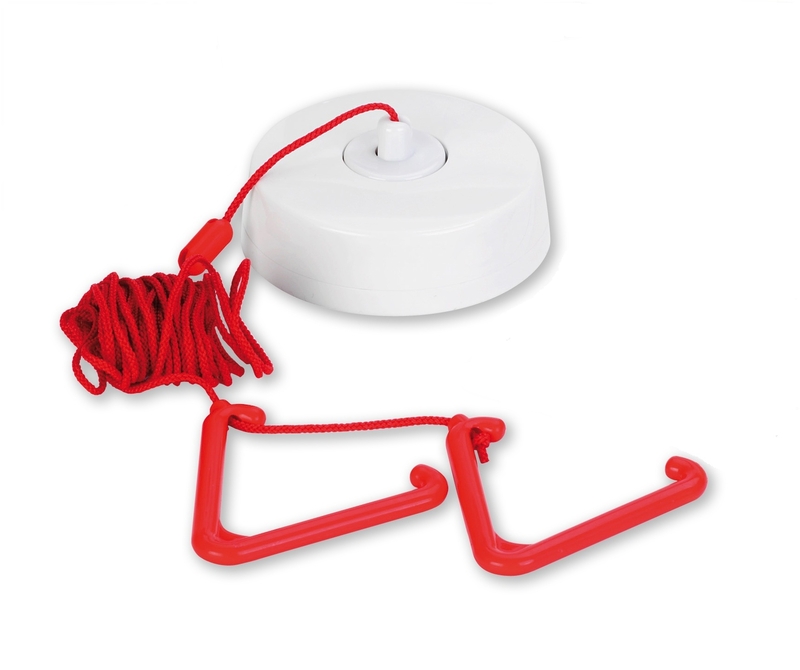 Red confidence LED and diffuser emits a bright red glow over a wide area to reassure the user that a call has been made. Base fits 16mm conduit and BESA centres. Also available as part of the QT951 Accessible Toilet Expansion Kit. Indicators Red reassurance LED/diffuser (active in Alarm). Controls Red pull cord (activated by pulling one of the QT607's bangles). Connections Local +V; S (Switch); R (Red). 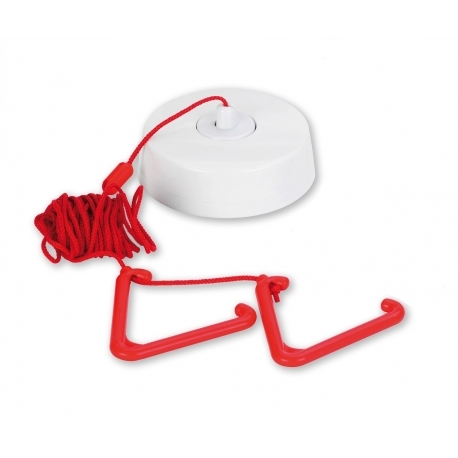 Wire as a slave to a Quantec Addressable Call Point or Accessible Toilet Reset Point. See instructions for details. Product dimensions (mm) 93mm diameter x 27mm deep. Designed for ceiling mounting only. Base fits 16mm conduit and BESA centres. Product dimensions: 93mm diameter x 27mm deep. Surface mountable. Base fits 16mm conduit and BESA Centres.